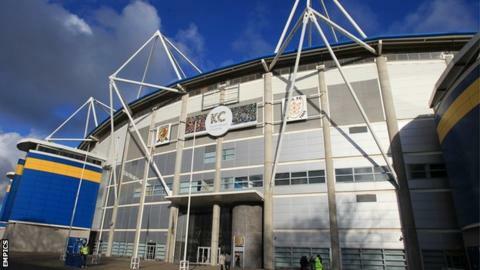 Hull FC have announced a link-up with Championship side York City Knights that will see the two clubs exchange players on loan and dual registration. As part of the partnership Hull's 21-year-old half-back Danny Nicklas will spend the 2013 season on loan at York. "We are delighted to have secured this partnership," Black and Whites director of rugby Shaun McRae said. "It was natural for the clubs to link up given the strong relations between the two clubs." Hull FC finished sixth in Super League last season but were knocked out of the play-offs at the preliminary semi-final stage by Warrington. Meanwhile, York endured a miserable season in the second tier, winning just one of their 18 league matches and losing the remaining 17 to finish bottom. The Knights hope the new agreement will enable them to make positive steps forward next season. General manager Ian Wilson said: "We are delighted to enter into this exciting partnership with Hull FC. "We already have strong links with the Hull area in terms of our playing roster and we believe that the partnership will only enhance this."